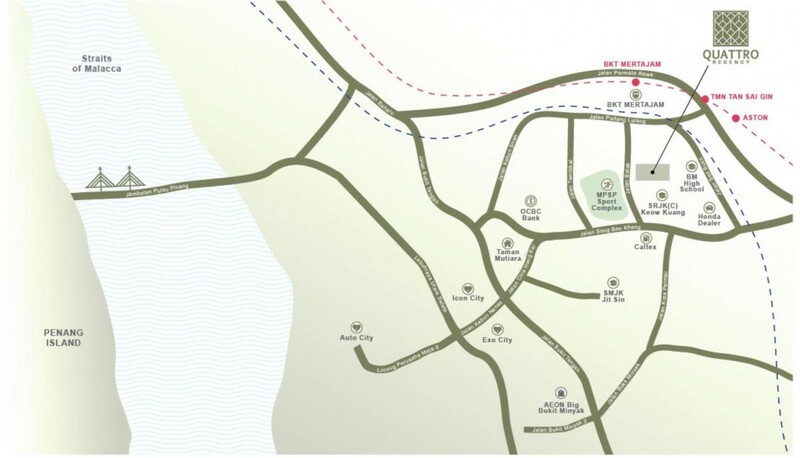 Quattro Regency, an upcoming freehold landed residential development by Marvellous Land Sdn. Bhd. at Bukit Mertajam. Strategically located on a 4-acres land near Jalan Song Ban Kheng, designed with Quattro Lineage’s 4 elements that offer seamless integration of living spaces with innovative designs. This development will feature 42 units of double storey semi-detached and bungalow houses.ach unit consists of 4 bedrooms and 3 bathrooms with built-up that range from 1,850 sq.ft. onwards. This development is currently in its planning stage, more details will be available upon official launch. Developer : Marvellous Land Sdn. Bhd.